One of the nicest gifts anyone can give me is the title of a great book. This page is for you. The downloadable lists are for your students. ALSO: PLEASE CHECK OUT MY BLOG, "ONLY GOOD BOOKS"!!! LOOKING FOR GOOD BOOKS? Check out the Independent Reading page! See also these TLC Blog posts on text selection. Booktalks Quick and Simple provides blurb recommendations for THOUSANDS of books appropriate for K-12. Lexile Framework for Reading will help you find books that are matched to your students' reading levels (Lexiles measure the difficulty of syntax and vocabulary). THIS LINK matches GRADE-LEVEL TEXT COMPLEXITY BANDS with LEXILE BANDSso you can find books on particular grade levels. Check out the Guided Reading page, too. Worldcat.org will help you search both libraries and bookstores. It even provides price comparisons among the booksellers! Another hint: On Barnes & Noble.com or Amazon.com, find a book you've already enjoyed, then read the sidebar list for "People who bought this book also bought..."
Teachers College Reading and Writing Project features an array of helpful literacy resources, including Frequently Used Booklists. The CYBILS (Children's and Young Adult Bloggers' Literary Awards) provide great titles to consider. NPR offers a special series called Three Books, where reviewers recommend three books on a given theme. GoodReads is another great source of book ideas. Here is a GoodReads recommended list for middle school students. LOOKING FOR A COOL PROJECT IDEA? The Nonfiction Book Talk Project requires students to read a nonfiction book, describe it briefly, then answer the audience’s questions about it. This project includes an overview of the assignment, the audience’s questions, a scoring checklist, and a list of recommended nonfiction books. This assignment has worked very well with HS students and can be modified for MS students or for a different genre of reading. If you're reading a novel, try the Book Talk Project for Class Novel. For more information, check out the Book Talk Projects page. 1. 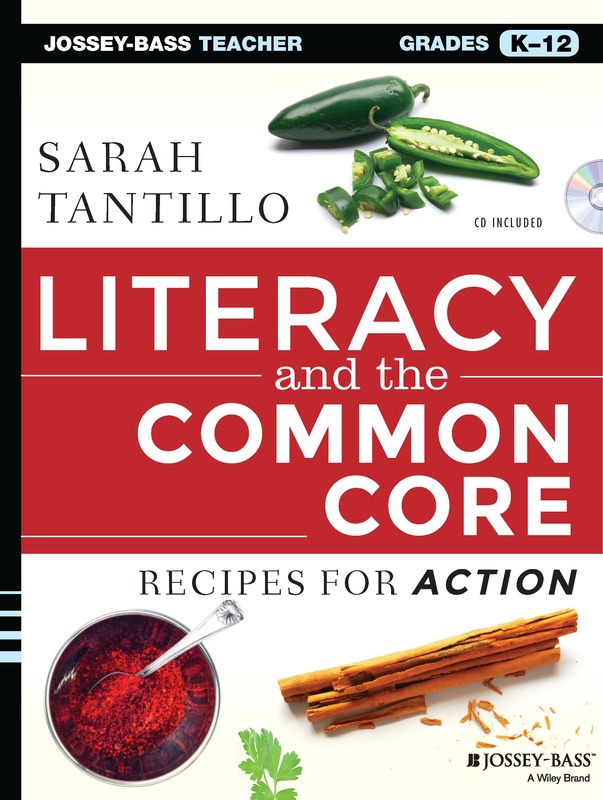 Check out THE LITERACY COOKBOOK blog! 2. Check out my other blog, ONLY GOOD BOOKS! NOTE: Titles noted with three asterisks (***) include a link to my review of the book. 3. Check out the lists below. Bambrick-Santoyo, Paul. Driven by Data: A Practical Guide to Improve Instruction. San Francisco: Jossey-Bass, 2010. ---. Leverage Leadership: A Practical Guide to Building Exceptional Schools. San Francisco: Jossey-Bass, 2012. Calkins, Lucy, Mary Ehrenworth, and Christopher Lehman. Pathways to the Common Core: Accelerating Achievement. Portsmouth, NH: Heinemann, 2012. Esquith, Rafe. Teach Like Your Hair's on Fire: The Methods and Madness Inside Room 56. New York: Penguin Books, 2007. ***Lemov, Doug. Teach Like a Champion: 49 Techniques that Put Students on the Path to College. San Francisco: Jossey-Bass, 2010. Wiggins, Grant, and Jay McTighe. Understanding by Design (2nd ed.). Alexandria, VA: ASCD, 2005. Appleman, Deborah. Critical Encounters in High School English: Teaching Literary Theory to Adolescents. New York: Teachers College Press, 2000. Beck, Isabel L., and Margaret G. McKeown. Improving Comprehension with Questioning the Author. New York: Scholastic, 2006. Beck, Isabel L., Margaret G. McKeown, and Linda Kucan. Bringing Words to Life: Robust Vocabulary Instruction. New York: Guilford Press, 2002. ---. Creating Robust Vocabulary: Frequently Asked Questions & Extended Examples. New York: Guilford Press, 2008. Beers, Kylene. When Kids Can't Read: What Teachers Can Do. Portsmouth, NH: Heinemann, 2003. ***Beers, Kylene, and Robert E. Probst. Notice and Note: Strategies for Close Reading. Portsmouth, NH: Heinemann, 2013. Daniels, Harvey, and Steven Zemelman. Subjects Matter: Every Teacher's Guide to Content-Area Reading. Portsmouth, NH: Heinemann, 2004. Gallagher, Kelly. Deeper Reading: Comprehending Challenging Texts, 4-12. Portland, ME: Stenhouse Publishers, 2004. Harvey, Stephanie, and Anne Goudvis. Strategies That Work: Teaching Comprehension for Understanding and Engagement (2nd ed.). Portland, ME: Stenhouse Publishers, 2007. Hyde, Arthur. Comprehending Math: Adapting Reading Strategies to Teach Mathematics, K-6. Portsmouth, NH: Heinemann, 2006. Keene, Ellin O., and Susan Zimmerman. Mosaic of Thought: The Power of Comprehension Strategy Instruction (2nd ed.). Portsmouth, NH: Heinemann, 2007. Lattimer, Heather. Thinking Through Genre: Units of Study in Reading and Writing Workshops 4-12. Portland, ME: Stenhouse Publishers, 2003. ***Lemov, Doug, Colleen Driggs, and Erica Woolway. Reading Reconsidered: A Practical Guide to Rigorous Literacy Instruction. San Francisco: Jossey-Bass, 2016. Miller, Donalyn. 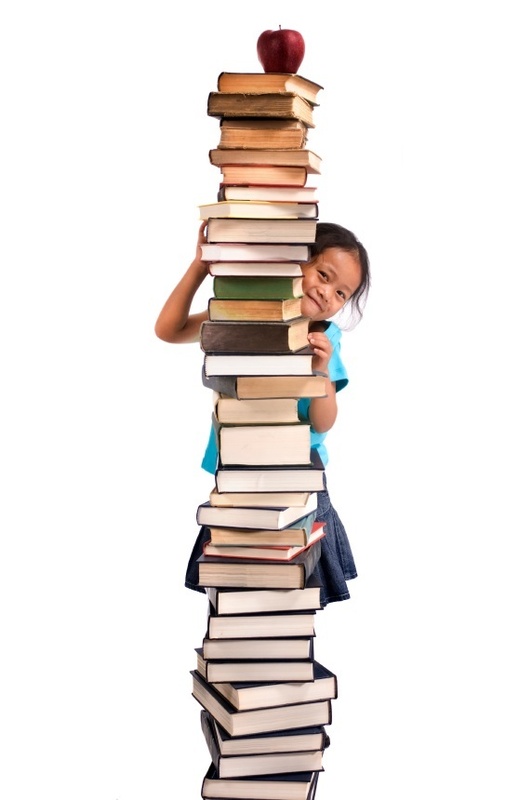 The Book Whisperer: Awakening the Inner Reader in Every Child. San Francisco: Jossey-Bass, 2009. Robb, Laura. Teaching Reading in Social Studies, Science, and Math. New York: Scholastic, 2003. Tovani, Cris. I Read It, but I Don't Get It: Comprehension Strategies for Adolescent Readers. Portland, ME: Stenhouse Publishers, 2000. Trelease, Jim. The Read-Aloud Handbook. New York: Penguin, 2006. Anderson, Jeff. 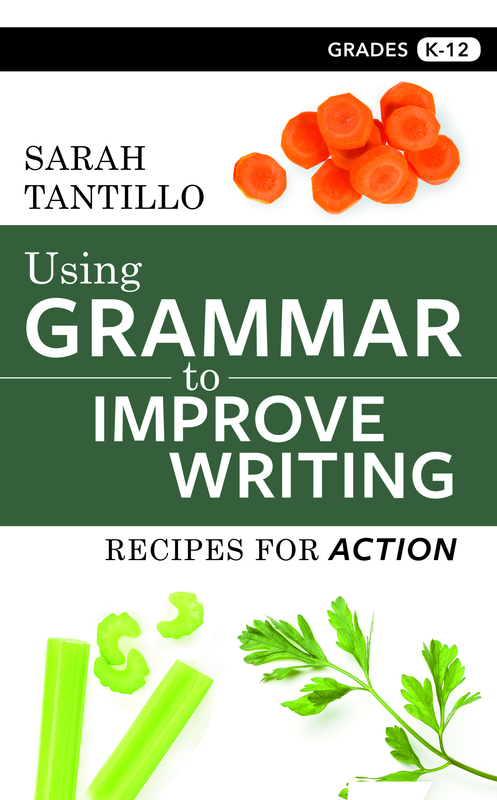 Mechanically Inclined: Building Grammar, Usage, and Style into Writer's Workshop. Portland, ME: Stenhouse Publishers, 2005. ---. Everyday Editing: Inviting Students to Develop Skill and Craft in Writer's Workshop. Portland, ME: Stenhouse Publishers, 2007. Bernays, Anne, and Pamela Painter. What If? : Writing Exercises for Fiction Writers. New York: HarperCollins Publishers, 1990. Buckner, Aimee. Notebook Know-How: Strategies for the Writer's Notebook. Portland, ME: Stenhouse Publishers, 2005. Caine, Karen. Writing to Persuade: Minilessons to Help Students Plan, Draft, Revise, Grades 3-8. Portsmouth, NH: Heinemann, 2008. Ehrenworth, Mary, and Vicki Vinton. The Power of Grammar: Unconventional Approaches to the Conventions of Language. Portsmouth, NH: Heinemann, 2005. Elbow, Peter. Embracing Contraries: Explorations in Learning and Teaching. New York: Oxford University Press, 1986. ---. Writing Without Teachers. New York: Oxford University Press, 1973. ***Fish, Stanley. How to Write a Sentence and How to Read One. New York: Harper, 2011. Fletcher, Ralph. What a Writer Needs. Portsmouth, NH: Heinemann, 1993. Goldberg, Natalie. Writing Down the Bones: Freeing the Writer Within. Boston: Shambhala Publications, 1986. Graff, Gerald, and Cathy Birkenstein. "They Say/I Say": The Moves That Matter in Academic Writing (2nd ed.). New York: W.W. Norton & Co., 2010. ***Hochman, Judith C., and Natalie Wexler. The Writing Revolution: A Guide to Advancing Thinking Through Writing in All Subjects and Grades. San Francisco: Jossey-Bass, 2018. Robb, Laura. Nonfiction Writing From the Inside Out. New York: Scholastic, 2004. Tsjimoto, Joseph I. Teaching Poetry Writing to Adolescents. Urbana, IL: National Council of Teachers of English, 1988. ***Aguilar, Elena. The Art of Coaching: Effective Strategies for School Transformation. San Francisco: Jossey-Bass, 2013. Brown, Peter C., and Henry L. Roediger III and Mark A. McDaniel. Make It Stick: The Science of Successful Learning. Cambridge, MA: Harvard University Press, 2014. ***Coyle, Daniel. The Talent Code: Greatness Isn't Born. It's Grown. Here's How. New York: Random House, 2009. ***Duhigg, Charles. The Power of Habit: Why We Do What We Do in Life and Business. New York: Random House, 2012. ***Dweck, Carol S. Mindset: The New Psychology of Success. New York: Random House, 2007. Ericsson, Anders, and Robert Pool. Peak: Secrets from the New Science of Expertise. New York: Houghton Mifflin Harcourt, 2016. ***Greene, Ross W. Lost at School: Why Our Kids with Behavioral Challenges Are Falling Through the Cracks, and How We Can Help Them. New York: Scribner, 2009. ***Heath, Chip, and Dan Heath. Made to Stick: Why Some Ideas Survive and Others Survive. New York: Random House, 2007. ***---. Switch: How to Change Things When Change Is Hard. New York: Broadway Books, 2010. Hirsch, E.D., Jr. The Knowledge Deficit: Closing the Shocking Education Gap for American Children. New York: Houghton Mifflin, 2006. ***Lemov, Doug, Erica Woolway, and Katie Yezzi. Practice Perfect: 42 Rules for Getting Better at Getting Better. San Francisco: Jossey-Bass, 2012. Pink, Daniel. Drive: The Surprising Truth About What Motivates Us. New York: Riverhead Books, 2009. Postman, Neil. Conscientious Objections: Stirring Up Trouble About Language, Technology, and Education. New York: Alfred A. Knopf, 1988. ***Steele, Claude M. Whistling Vivaldi: How Stereotypes Affect Us and What We Can Do. New York: W.W. Norton, 2011. Thernstrom, Abigail, and Stephan Thernstrom. No Excuses: Closing the Racial Gap in Learning. New York: Simon & Schuster, 2004. ***Tough, Paul. Helping Children Succeed: What Works and Why. New York: Houghton Mifflin Harcourt, 2016.